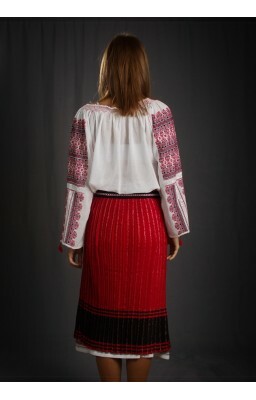 Traditional Romanian folk costume from Muntenia area - Handcrafted Romanian folk costumes for sale. Worldwide delivery for Traditional Romanian folk costumes. Romanian folk costume care: Hand wash at max. 30'C. Ironing.